Will Make Beats For Food : Apt. 5B Podcast Hosted by Kil: Was The 90's Hip Hop's REAL Golden Era? Apt. 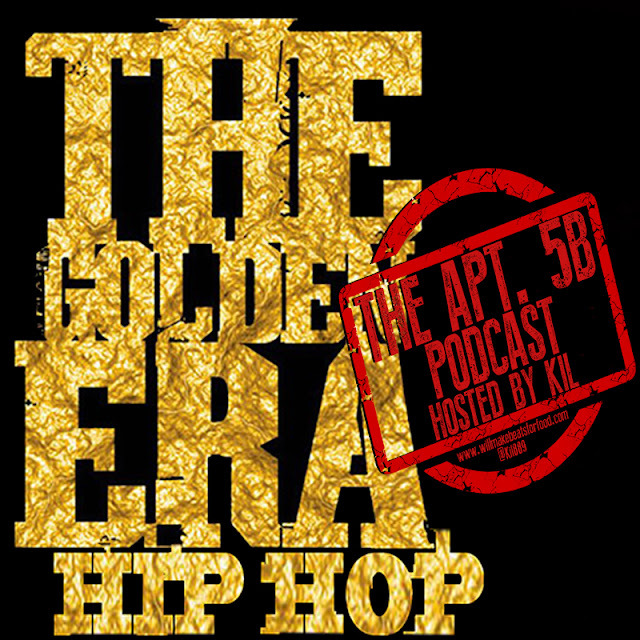 5B Podcast Hosted by Kil: Was The 90's Hip Hop's REAL Golden Era? Peep this week's ep of my podcast Apt. 5B with Porsha, DJ Wreck 1, Nick & Vince chopping it up about was the early's 90's hip hop's REAL golden era? We're looking at the years '92-'96 and the albums that dropped, which one of those years was the dopest and what MC & album was the most important for that time. Plus we're chopping it up about did Nas' Illmatic REALLY change the game like the universe claims it did? And does Illmatic even crack our top 5 hip hop albums of all times? Just ANOTHER dope ep ya'll and don't forget to subscribe to our You Tube and Mixcloud pages!